Benefit 5% from a discount at Lentes shop. 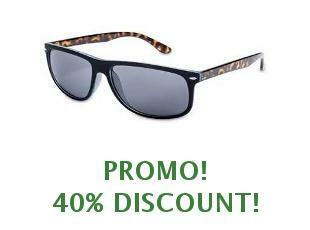 Code 10% discount at Lentes shop. Promo code 5% off at Lentes Shop. 5% Off orders at Lentes Shop. Choose your Gift with Online Order at Lentes Shop! 20% Discount on Pack 90 Lenses with Lentes Shop! Free Shipping at Lentes Shop. Lentes Shop is an online shop dedicated to the sale of lenses and accessories in Spain. It works with the best brands in the market: Acuvue, Dailies, Air Optix, FreshLooks, BioFinity and PureVision among others. It offers daily, biweekly, monthly, colored, toric and multifocal lenses. It also has contact lenses, saving packs, drops and eye spray. You can find cases, applicators and lens clips, sunglasses and swimming. Lentes Shop offers free shipping on purchases over 10 euros. These Lentes Shop deals are verified. Why keep paying more than the bill? Find your promotional code now!